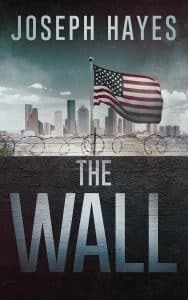 The Wall is an intelligent, fast-paced thriller that combines page-turning suspense with a thought-provoking exploration of one of the most controversial, sensitive and far-reaching issues of our time—immigration. Subscribe for information regarding future promotions and new releases! Welcome, and thanks for visiting my website! If you’re reading this, something about my books must have caught your attention. Let me try to pique your interest a bit further! Thus far, I have written three novels. I attempt to write the kind of stories I like to read: page-turning suspense novels with rich, complex and compelling characters. In every case, my primary goal has been to tell an engaging story. My hope is that fans of thrillers, mysteries and crime stories can read these books and thoroughly enjoy them for pure entertainment value. That said, I realize that some readers appreciate an engaging story that is subtly layered with deeper meaning—something that is timely and thought-provoking or that would provide good material for a lively book club discussion. I try to provide that as well. 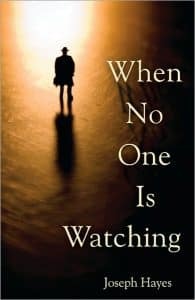 When No One Is Watching is a political thriller set primarily on the South Side of Chicago. It involves ambition, corruption and scandal within Chicago’s political circles and on the national scene. Sound familiar? It also is something of a modern-day morality tale that explores both the frailties of human nature and the triumph of the human spirit. 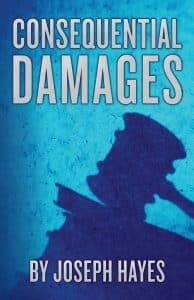 Consequential Damages is a legal drama involving two former law school classmates who clash in a high-stakes class action lawsuit. One of those lawyers is a brilliant trial attorney who believes that winning is everything. He boasts that a lawyer who is a talented storyteller can fool a jury every time. His career is a testament to that, and he leaves ruined lives in his wake as he weaves his courtroom magic. His former classmate is determined to stop him—if he can do so without sacrificing his own integrity. The Wall is a political thriller that starts out in a small South Texas town where illegal immigration is simply a fact of life. The child of one of those illegal immigrants becomes a great American success story—Ivy League education, media darling, and the nation’s most prominent immigration reform activist, all of which help pave the way for his explosion onto the national political scene. But he is not who he purports to be. In fact, he is the nation’s most high-profile illegal immigrant. More information about each of these books can be found here. From there you can also find an excerpt from each book and links to reader reviews. I hope you’ll take a look!